Because finding things to publish isn’t difficult – for anyone. Because the voices that stand out online are those that dig behind the statistics, or give meaning behind the headlines. Because curating context is as important as curating content. Because in a networked world, information that’s not online is, to all intents and purposes, for most people hidden. 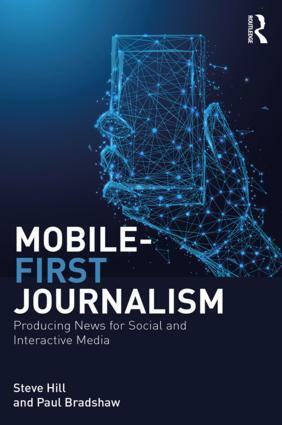 Because journalists have always sought to bring hidden information to a wider audience – but in the networked era that’s no longer a one-way process. SEO, tagging, linking and social media marketing are just as important as publishing. Because online, information has a life of its own: adaptable, aggregatable, mashable. Because the web is a tool as much as a channel. 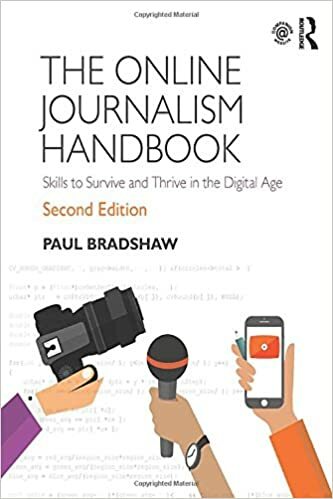 Because journalists have always been generalists whose strength is in making connections between diverse areas – in the networked era that role is reinvented as a connector. Because serving communities sometimes means looking out as much as looking in. There may be other principles you can add (I hesitate to add ‘telling stories in new ways’, but perhaps it should be there), or other reasons. Please let me know what you think they are, and I’ll update the post accordingly. This entry was posted in online journalism and tagged dina rickman, manifesto, principles on March 31, 2010 by Paul Bradshaw. When Paul invited me to collaborate on OJB, I was determined to report what was going on with journalism in Spanish speaking countries. But living in Argentina inevitably means being submerged in the reality of one of many underdeveloped countries, a reality which doesn’t compare to what I have written about Spain (nonetheless suffering 25% unemployment). The truth is that we in Argentina and throughout Latin America have been experiencing for a long time a process of precarization of labour in the newsrooms, with the complicity of power that big media corporations have to influence government policies. That’s why many employers in the mainstream media try to have bloggers on their online sites without paying them, under the excuse that they offer the blogger “an outlet to show their work” (this happened in traditional newsrooms too and I suffered it personally in Clarín, the biggest media corporation of the country). The latest example of this is what happened (English translation) to Alejandro Agostinelli’s blog, Magia Crítica, which was deleted without notice by the head of the digital edition of the Crítica de la Argentina journal. What was the reason? Alejandro asked if they could pay him for writing the blog. The journalist used to receive a salary for the work until September 2009, when he received an e-mail telling him that he would not receive it any more. Agostinelli agreed to work for free but asked for independence to manage the blog and add his own advertising. Obviously, that never happened. Critica’s banners continued to appear on his blog and his posts sometimes made it to the news site’s home page. Two weeks ago, he decided to ask for his salary again, but it appears he was dismissed for merely asking. 171 posts were published in Magia Crítica over 14 months before it was closed, but luckily its content was saved and remains online in a WordPress.com domain. “He was paid monthly as long as the blog had good trafic, but that objective was never met. So I told him the blog would be closed but he could keep the space without pay and he agreed. He then sent me a pseudo-threatening email demanding his monthly payment, so he broke our agreement”. This entry was posted in online journalism and tagged Alejandro Agostinelli, argentina, Crítica de la Argentina, Magia Crítica, nerina sturgeon on March 25, 2010 by Paul Bradshaw. It began with some confusion, but an interested crowd filled the Telegraph’s presentation room for a pre-launch spiel on its new election application, Debate2010, last night. Headed up by communities editor Kate Day, and in commercial partnership with Salesforce, the media group is touting the application as the first of its kind. 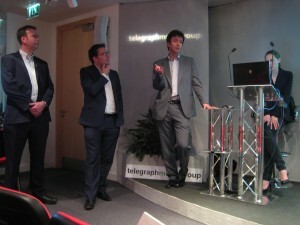 Telegraph deputy editor Ben Brogan said the application is an original idea with great potential. “It will allow people to comment on issues of importance to the country in real time,” he said. This entry was posted in online journalism and tagged ben brogan, debate2010, election, joanna jacobs, kate day, salesforce, Telegraph on March 23, 2010 by Paul Bradshaw. This entry was posted in online journalism and tagged bundles, C, google reader, OPML on March 22, 2010 by Paul Bradshaw.